Choose the 'Templates' tab and click the + Template button to create a template. Set the properties for the template. You can find more information in the article 'Which functionalities should I activate in the template?'. You can create a new content library right away or you can select an existing content library if you've already created the content. Are you a designer, but can you not add content folders? Ask the administrator for access to the content folders that you need. Choose the Template tab. You can create a structure by adding blocks. A block is a collection of learning activities that a learner can open. 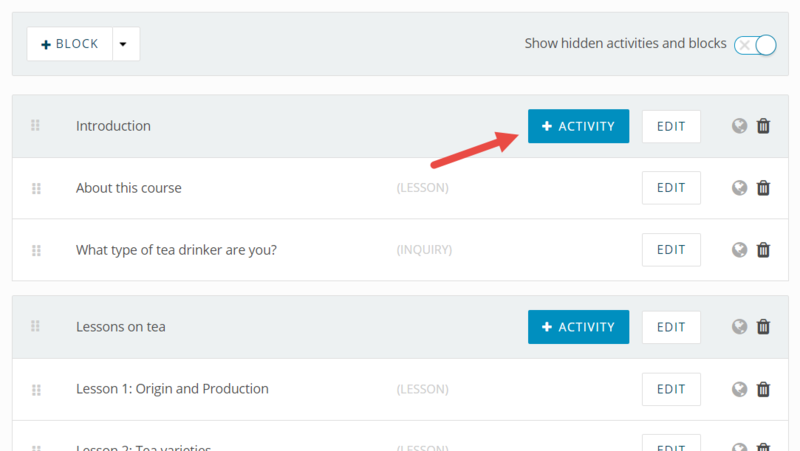 You can add learning activities by clicking + Activity. For specifications per activity read the article 'Which activities can I use in a template?' and 'General settings of activities'. Click Edit behind the activities that you have created to add content. To do this, choose the Activity content tab. Add questions and content parts directly or choose 'Select content' to select existing content. Finally click Update and next to start filling the next activity with content. Click the Test button to see the effect of the lay-out in the course. Learners can take a course once the template has been published. To do this, click the Publish button. Once a template has been published, not every setting can be changed anymore. See What can not be changed after publishing? Once the template has been published, only administrators can add learners to the course. 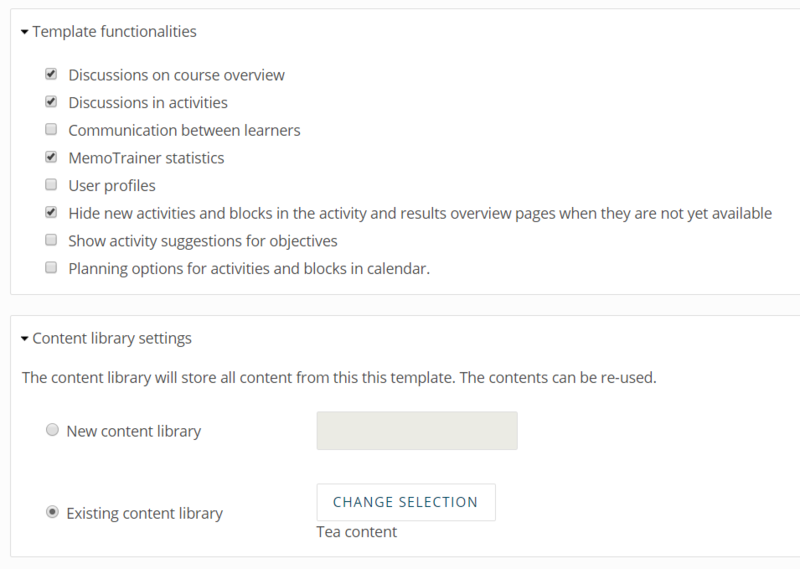 Create a course from the template by choosing the Courses tab. The course's title will be visible for the learners. Choose which Sub-enviroment gets access to this course. See for more information Creating a course. aNewSpring advises designers to use modern browsers like Firefox, Google Chrome or Safari. These browsers are faster than e.g. Internet Explorer.